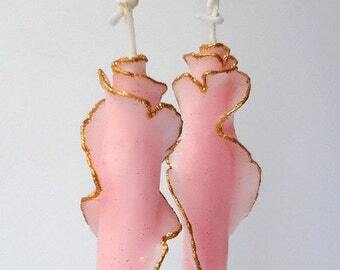 These unique beeswax Rose Taper Candles are gorgeous in any decor. Meant to add beauty and natural luxury to your life - light them, display them, whatever brings you joy. An eco luxury gift for special occasions or just to brighten someone's day (including your own!). Handmade to order: Choose your favorite - a pale shade of purple, blue, pink, peach, or green. Each pair is adorned with air-dried rose petals & leaves dipped in beeswax (examples in 1st & 2nd photos). Gold or silver wax paint & glitter edging can be added for an additional charge (pricing in drop-down menu). Examples shown in photos 4-7. These candles are also available in custom colors, larger quantities, variety of heights, with or without adornments. Contact me for info. 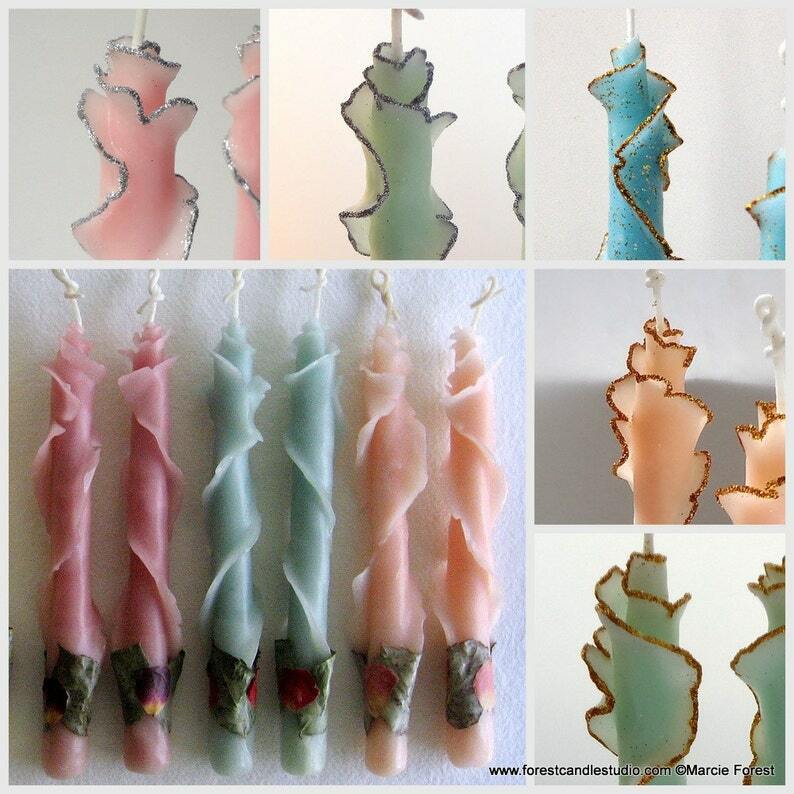 "These candles are exquisite art pieces, down to the tasteful wrapping they come in." or contact me to order other sizes, colors, quantities. See the "Shipping & Policies" tab to see PAYMENT & SHIPPING INFO for this item, and my general SHOP POLICIES. I love everything about these candles. They are the perfect color for my display.